The following is a special collection of freeware tools for system administration written in Perl. They cover advanced topics for the experienced admin, and are a valuable addition to a senior admin's collection or those wishing to be a senior admin. Most are related to performance or fault prevention. Note: These are unsupported freeware programs and have nothing to do with the respective operating system vendors. Use at your own risk. Many of these require Perl and were developed on Unix, and many of these run fine on Linux. A few are specific to Unix. Later tools, after the Linux Internals diagram, were developed for Linux. The following are short demonstrations for each of the programs with links to download the code. baud Run commands safley at their native baud, eg 2400, 9600. Commands are often run over high speed ssh or telnet sessions, causing Command Fault Heat State Exception (CFHSE) errors due to overbauding. This program helps prevent such faults. Full example here. ishadm Information Super Highway Administration. This checks and enables network routes to the Information Super Highway to ensure maximum Internet performance. Full example here. 3rot13 Triple ROT13 - a new heavyweight encryption algorithm. This is a symmetric stateless keyless cypher that outperforms other modern encryption algorithms on speed. Full example. A newer version, nrot13 allows the number of ROT13 cycles to be customised; however due to export regulations cycles greater than 1024 should not be used. Pbclevtug 2002 Fha Zvpebflfgrzf, Vap. Nyy Evtugf Erfreirq. Hfr vf fhowrpg gb yvprafr grezf. turbo Toggle the turbo button. This is for servers that lack the physical turbo button that is used to double the CPU speed. You may be shocked to find that some of your servers have been running with turbo switched off all this time. Full example here. 4  # Configuration parameters for turbo. 5  # Do NOT edit this file by hand -- use turbo(1m) instead. maybe /usr/bin/maybe. A companion to /usr/bin/true and /usr/bin/false. Full example here. icmpcharger ICMP driver trickle charger. This trickle charges the ICMP driver by sending a series of echo reply packets to localhost at regular intervals. This prevents a common fault where the batteries in the kernel's ICMP driver become depleted, causing high latency or dropped packets. This script serves as a precaution against driver failure. 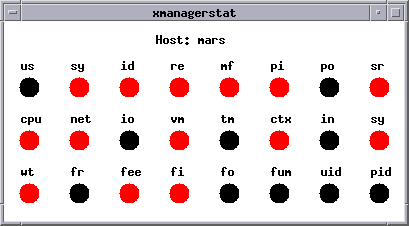 xmanagerstat A sophisticated system status tool with blinking lights. This provides a view of the server thinking in real time, a technique that was popular in the days of mainframe computers and is equally useful today. onstat Server on status. This program tells you if your server is switched on. There is also a C version, onstat.c. Full example here. osstat OS version status. This program provides a convenient way to determine if your OS is upgraded, rebooted, reinstalled or BFU'd while you are using it. Full example here. cdrewind Rewind CDROMs before ejection. This should be performed before every ejection, otherwise discs can remain positioned incorrectly or can leave tracks behind in the drives. Full example here. bnull.c This is a block device version of /dev/null. It has been written to obey the Solaris 10 DDI. Full example. notrandom.c This Solaris 10 device driver provides /dev/notrandom, which provides fast and reliable not random numbers. Full example. 0000000   +   n 253 026   - 020 210   R 321 324   V   Q   ? 033 312   ? wumpus.c This is an mdb loadable module that provides a new dcmd, "::wumpus" that plays the classic game of Hunt the Wumpus. This is based on a clone of the original BASIC game. Full example here. bottom This is the opposite of top, it displays processes that are using the least CPU. It is the companion to the "prstat" command. Full example here. psss Process Status with Star Sign, an improved ps version that inserts a field to display the starsign of the process. See the Process Star Sign Chart for starsign characteristics. Full example here. lsss ls with StarSign, an improved ls command that inserts a field to display the starsign of each file. Full example here. ged.jar GUI-ed. A Java/Swing GUI front-end for the "ed" line editor. This enhances the classic "ed" editor by wrapping it in an easy to use GUI. The GUI provides tunable options such as sound effects, themes, and has an awe-inspiring monochrome splash screen. This runs on any OS with Java 1.5 and a valid "/usr/bin/ed". src. music.xml Background Music Service for Solaris 10's SMF. This plays background computer music in a constant loop, making your server appear more important and high-tech. Full example here. typewriter-0.75.tar.gz These are DTrace scripts that make your console keyboard sound like a mechanical keyboard, including the "ping-whoosh" sound when you hit enter. This is helpful if you have no feeling in your hands and you'd like to know when they are hitting keys. Or, if you are raising several kittens in the server room, this can alert you if they jump up on the keyboards. gwhiz GWhiz. This will whiz files or commands, making them easier to read so that you do not miss important details. Full example. COPYRIGHT 2002 SUN MICROSYSTEMS, INC.  ALL RIGHTS RESERVED.!!! USE IS SUBJECT TO LICENSE TERMS.!!! FILESYSTEM		      KBYTES	USED   AVAIL CAPACITY  MOUNTED ON!!! /DEV/DSK/C0T0D0S1	246463  101675  142324	42%    /!!! /DEV/DSK/C0T0D0S3    4628486 2057182 2525020	45%    /USR!!! /PROC			   0	   0	   0	 0%    /PROC!!! MNTTAB			   0	   0	   0	 0%    /ETC/MNTTAB!!! FD			   0	   0	   0	 0%    /DEV/FD!!! /DEV/DSK/C0T0D0S5	492422  229179  263243	47%    /VAR!!! SWAP			454088	 120  453968	 1%    /VAR/RUN!!! SWAP			476424   22456  453968	 5%    /TMP!!! /DEV/DSK/C0T0D0S7	246463   48333  173484	22%    /DATA!!! /DEV/DSK/C0T0D0S4    2052750 1304271  727952	65%    /OPT!!! /DEV/DSK/C0T2D0S1    18530217 3682119 14662796	  21%	 /EXPORT/HOME!!! 8:47PM  UP 286 DAY(S),  6:50,	 3 USERS,  LOAD AVERAGE: 0.00, 0.01, 0.02!!! FILESYSTEM            KBYTES    USED   AVAIL CAPACITY  MOUNTED ON Wow!!! /DEV/DSK/C0T0D0S1     246463  101675  142324    42%    / Wow!!! /DEV/DSK/C0T0D0S3    4628486 2057185 2525017    45%    /USR!!! /PROC                      0       0       0     0%    /PROC Fairdinkum!!! MNTTAB                     0       0       0     0%    /ETC/MNTTAB!!! FD                         0       0       0     0%    /DEV/FD Crikey!!! /DEV/DSK/C0T0D0S5     492422  229335  263087    47%    /VAR!!! SWAP                  444472     120  444352     1%    /VAR/RUN!!! SWAP                  466824   22472  444352     5%    /TMP!!! /DEV/DSK/C0T0D0S7     246463   48333  173484    22%    /DATA!!! /DEV/DSK/C0T0D0S4    2052750 1305957  726266    65%    /OPT Cor Blimey!!! /DEV/DSK/C0T2D0S1    18530217 3685344 14659571    21%    /EXPORT/HOME Gee Whiz!!! l33t converts formal and confusing text into easily understandable l33t-speak. In the example below we show an original file, a l33t output, and a l33t output with all (-a) options. Full example. Copyright 2002 Sun Microsystems, Inc.  All Rights Reserved. use Is 5uBj3c7 To lIC3ns3 7eRms.!!!11!!1ONE! cOPyRIgh+ 2002 SuN micROsYsT3mz, 1NC. aLL R1gHTz Re53|2V3d.!!!! use I5 $Ubj3C+ TO 1ic3NSE T3rM5.!!! aS5eMB1ed 15 ApRIl 2002!!!!!! w00t! ltzip Compress text files using a lossy text compression algorithm. Not only is the byte count reduced, but the bytes themselves are smaller bytes - and weigh less when stored on disk. Decompression to the original is not possible, however an ltunzip command exists for lossy decompression. Full example here. mkzombie.c This program creates one or more zombies and a daemon their leader. It can be used to replenish system zombies, or to feed the init monster. Full example here. pam_happy_hour.c PAM happy hour module. This creates a happy hour on Solaris during which passwords aren't required, any will do. Full example here. crypt_3rot13.c this is a password encryption library for Solaris 9, that allows the system to use the 3ROT13 (Triple-ROT13) algorithm for /etc/shadow passwords. Full example and Makefile here. jecho Java version of echo. This obeys the POSIX 1003.1, 2004 standard. It provides a standard version of echo to run on all systems rather than depending on quirky shell builtins. Full example here. rshutdown rough shutdown, shutdown in roughly 5 minutes or so. This program uses the same countdown timer as many major railway networks throughout the world, including Sydney's CityRail. Full example here. THE SYSTEM mars IS BEING SHUT DOWN NOW ! ! ! allslow This program prevents greedy CPU-bound processes consuming so much CPU, by creating a DTrace program that is even greedier. It slows down every process on the system to about a tenth of their usual speed. Full example here. c64banner.sh Have you ever ran commands before the computer was ready for them? Your commands may become lost in a buffer hole, from which no bytes can escape. Imagine running "cd /tmp/1" then "rm -rf *", and it lost the first command but ran the second! With this dynamic motd, your computer announces in shouting-robot-speak when it is "READY" for your commands. The script has install instructions for Ubuntu Yakkity.